As a child, we loved the thought of those food replicators in Star Trek instantly making any meal of my choosing. It seems this idea has spurred on a couple of Isreali inventors to make the dream of instant food a reality. 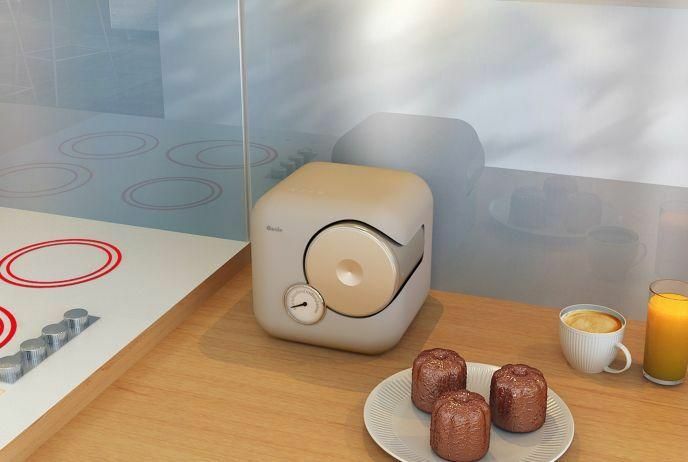 The Genie, developed by Israeli entrepreneurs Ayelet Carasso and Doron Marco, is about the size of a small coffee machine and can make a range of meals using dehydrated ingredients. So, in effect it is much more like the rehydrator found in Back to the Future Part II. The device is not limited to any particular type of food, it can be either sweet or savoury. Genie uses a mobile app and meals are served up in 140 gram portions. Tapping a button on the app starts the cooking process on the device. The ingredients are natural and freeze dried and stored in pods, not too dissimilar to those coffee pods. The idea came to Carasso and Marco, after the pair failed to find a restaurant that would deliver food late at night. The pair wanted a "real life version of Star Trek's replicator", which was used in the series to synthesise food on board the USS Enterprise. The pair is working with chefs to prepare recipes for the pods and will also produce food pods for specific dietary requirements. Carasso and Marco also believe getting a meal in a pill could be possible in the not-too-distant future.